Robins Air Force Base in Georgia installs the Double T-Rex. Robins Air Force Base is the home of Warner Robins Air Logistics Complex, the 78th Air Base Wing, and more than 60 other units that make up a vital part of the Air Force warfighting team. It is the largest industrial complex in Georgia, employing a workforce of over 25,584 civilians, contractors, and military members. 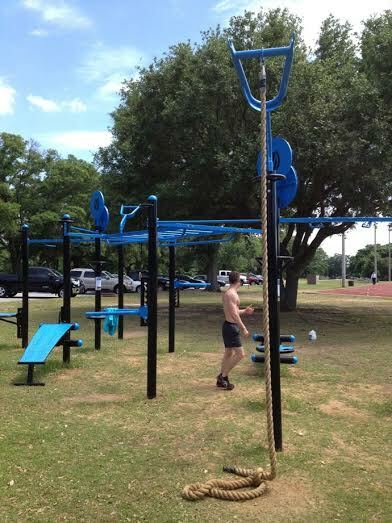 Special thanks to Perform Better for assisting in supplying Robins AFB with a T-Rex Outdoor Fitness Station.